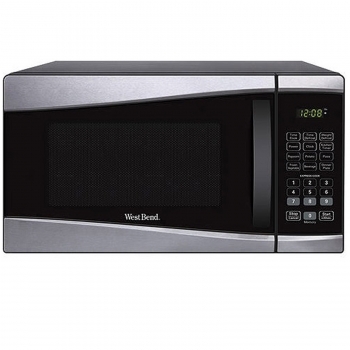 This West Bend 900-Watt Microwave contains all the benefits and features you will need to cook a variety of foods. The ten power levels and one-touch cooking features ensure that you can easily prepare anything from popcorn to pizza. It comes with a digital clock, and the 99-minute timer will let you prepare a variety of meals for your family. This 0.9-cubic-foot microwave runs on 900W of power. It features a handle door and a child-safety lock for peace of mind. Its sleek and modern style will blend well with your kitchen appliances and decor. 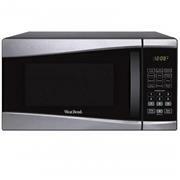 This microwave is just what you need to reheat leftovers, defrost frozen foods, cook meals and more.